CLARKSDALE – Ike Turner and his Rocket 88 crew from Clarksdale who launched the world’s first rock and roll record are being celebrated as musical icons this summer by the Sunflower River Blues and Gospel Festival. “Our 23rd annual festival on August 6-8 will be a tribute to Ike and the Rocket 88 musicians,” says co-chairman Melville Tillis. “We are excited about spotlighting this significant history of Clarksdale ,” continues Tillis, who once played trumpet with Turner in a teenage band. Tillis said Blues Association members voted on the tribute this week, and became so fired up recalling stories of talented Clarksdale musicians including Jackie Brenson, Raymond Hill, Clayton Love, C. V. Veal, T. J. Smiley, Eugene Fox, and others that few wanted to leave the meeting. Being planned are reunions, interviews, exhibits, and educational forums similar to last year’s “Remembering Sam Cooke” and others honoring Early Wright, Charlie Musselwhite, Latimore, and Norway ’s Spoonful of Blues Band. In 1951 Turner and his group called the Delta Cats including Brenson and Hill recorded “Rocket 88” with Sam Phillips in Memphis . Since this took place before Sun Studios had a record label, Phillips sent the recording to Chess Records for release, and it rocketed to Number one on the Billboard charts. The story of their rag-tag trip to Memphis has become as legendary as their composition about Oldsmobile’s new Rocket 88. A Clarksdale native who spent time as a child around WROX studios with Robert Nighthawk Jr. and learned boogie woogie piano from Pinetop Perkins, Turner has been described by many as a super organizer, a perfectionist, an impresario. The Top Hatters was his early band before the Kings of Rhythm, and later the Ike and Tina Turner Revue. 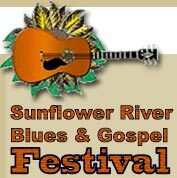 In 1997 Turner and Little Milton headlined the 10th annual Sunflower River Blues Festival to rave reviews. 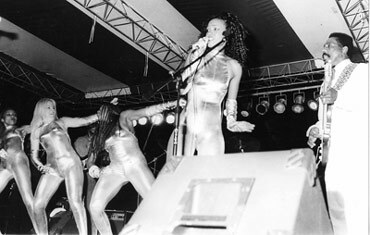 The two performed together with Milton on guitar, Turner on keyboard, and the Ikettes prancing on stage in gold Spandex body suits. 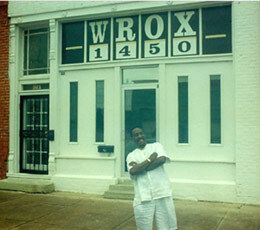 Turner occasionally visited friends in Clarksdale including the late Wade Walton, the late Lucille Turner and her family, and C. V. Veal, his former drummer. Visiting the house on Washington where he was born, a friend’s home on Mississippi where he played keyboard, the church his father pastored, stops outside WROX, Haggard Drug Store, Turner was genial host for lunch at the Ranchero to the small group. When he died Dec. 12, 2007, his manager was talking to Sunflower Festival co-chairman about a return performance in Clarksdale Sunflower members encourage area residents who remember Turner, other early blues musicians, and/or have photographs of this era to contact association members or the Delta Blues Museum.